CD103, also known as integrin alpha E (ITGAE), is an integrin protein that in humans is encoded by the ITGAE gene. It binds integrin beta 7 to form the complete heterodimeric molecular αEβ7 that binds to an extracellular matrix component and cellular counter receptor. They mediate cell adhesion, migration and signaling and are important for T lymphocyte localization. 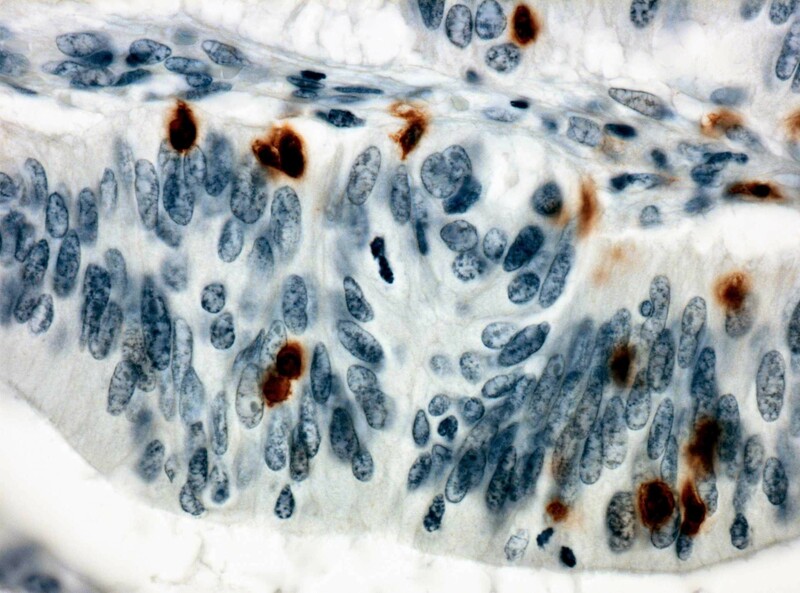 CD103 is expressed on intraepithelial lymphocytes in mucosal areas, including lung and GI tract. In malignancies, CD103 is expressed on more than 95% of intraepithelial CD8+ cells and 40% of mucosa associated T cells, whereas less than 2% of resting blood lymphocytes are CD103-postive. 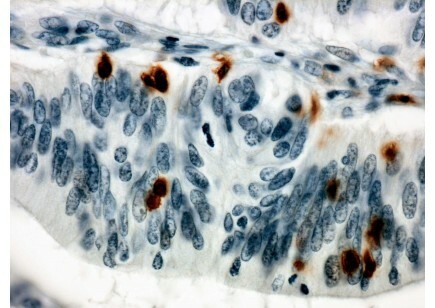 In several malignant conditions, such as T-cell lymphomas and hairy cell leukemia, the cells express CD103.